The blonde beauty Ellie Goulding has been advised to avoid doing shows due to her mysterious health issues. The British rapper was to do two concerts at Finland and Latvia today and tomorrow, which now have been announced for not going ahead as scheduled earlier. Ellie has apologized to her fans for calling off these concerts hoping they would understand her medical condition. She wrote she is sorry that she had to call off this weekend’s events as she has been asked to avoid traveling or performing. She further wrote she would be bouncing back soon. She also put a flexed-biceps emoji alongside her note on Twitter.com. The “Love Me Like You Do” star has been diagnosed with exhaustion and so is forced to take complete rest followed by an off from work and travel. Her fans could not find what was wrong with her while she was using twitter to announce the cancellation of her gigs as she just mentioned she was ill and wasn’t able to perform at either of concerts. However, a British newspaper has just disclosed that she is suffering from exhaustion and is following her physician’s instructions. Interestingly, the rapper also had to confirm about what she has been diagnosed from after the news was published in the newspaper revealing the reason behind her illness. She once again signed in to her Twitter account and wrote she had to cancel some upcoming sets due to exhaustion. Ellie continued with a brief clarification saying she has done about hundred concerts in the following year and her physician has told her if she does some more gigs, her vocal might not bounce back from those performances. She was checked with a few of tests and was finally diagnosed with huge exhaustion. Ellie says she believes in hard working and doesn’t cancel anything unless she really needs to, and this time her physician literally warned her about her voice. She says she never realized she was tired but recently somewhere in Glastonbury, she really felt she was very much exhausted. Apart from being a hard worker, the British singer is also one of the celebrities who are famous for their “health-conscious” nature. Ellie insisted she would only have called off her concerts if she had no other choice. 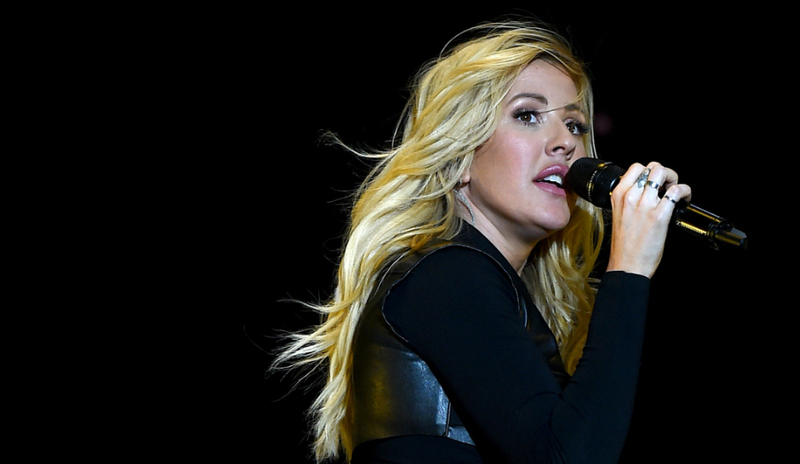 Despite the recent setback which has apparently put a pause on her activities, Ellie is positive about her career and says she is optimistic for the rest of year. The 29-years-old had signed copious concerts for 2016 as the part of Delirium World Tour. The event was started on January, 21 this year in Hamburg and will be ended in October 2016 in Australia. According to her schedule, Ellie is now due to perform in Chicago, USA on July 31, 2016. Her last shows will be in New Zealand and Australia in September and October. Ellie attended a private screening in London earlier this week as an attempt to keep herself occupied. It was an environmental documentary racing extermination and the venue was at less than a mile distance from her house. According to her, she is completely dropping out on what her physician has advised her. And there she did not have to sing.